You Served Us. Let Us Serve You. Our mission is to create student veteran success through education, support and assistance for you and your family. Thank you for your service. 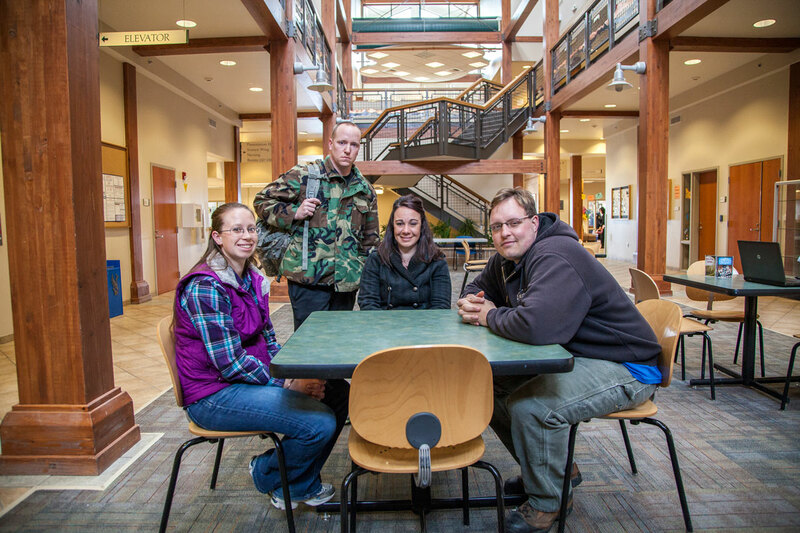 The Northern Wyoming Community College District offers comprehensive veteran-specific resources, including helping you understand and apply for veteran benefits, on-going support for your educational experience and access to the VCARES transitional training program. NWCCD was named a Military Friendly School by GI Jobs Magazine in 2013, 2014, 2015, 2016 and 2017. Explore the benefits NWCCD offers veterans. Find out your next steps after applying. Fill out your application today and become part of our college. Tyler Jensen served six years in the South Dakota Air National Guard as an Aircraft Armament Specialist. Tyler is committed to creating a supportive and accessible campus environment for all current military members, veterans and their dependents. Loren Groves served 20 years of active duty in the Army as a Chemical Operations Specialist. Loren is a native to the Gillette community, and enjoys assisting the educational needs of Veterans and their dependents at the Gillette College campus. NWCCD values the education you have received as a member of the military, students should visit with our Veteran Services Director to learn about credit for prior learning. Register early for best course selection.